Home|Blog|Cotignac 'village de caractère' in the Provence! Cotignac 'village de caractère' in the Provence! 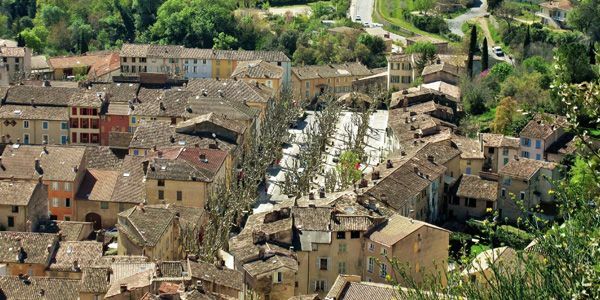 Cotignac is one of the most beautiful and idyllic villages in Provence. The village is mainly characterized by its famous rock, the Rocher de Cotignac. The old village center is completely built against this 400 meters wide and 80 meters high rock which looks very impressive. At the top of the rock are two 14th century towers, relics of the castle that once stood there. Cotignac has received the label 'Village de Caractère' and the village is also known as the 'Saint-Tropez of the Var'. 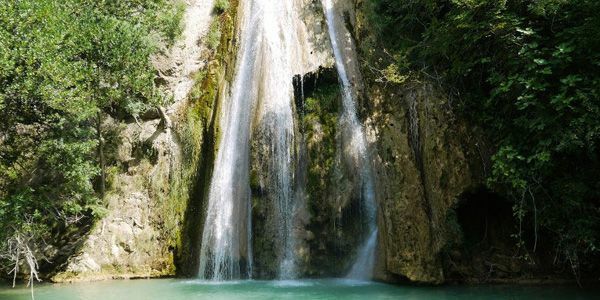 A beautiful waterfall along the rock has created the river 'La Cassole' that makes its way through Cotignac. The waterfall has also ensured that numerous caves have been carved into the rock walls. These caves used to house cavemen. 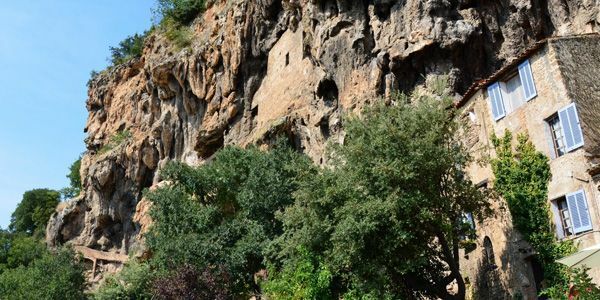 The outdoor theater of Cotignac was completely carved out of the rock. A music and theater festival takes place every summer. The main street of Cotignac has countless beautiful facades from the 16th and 18th century. 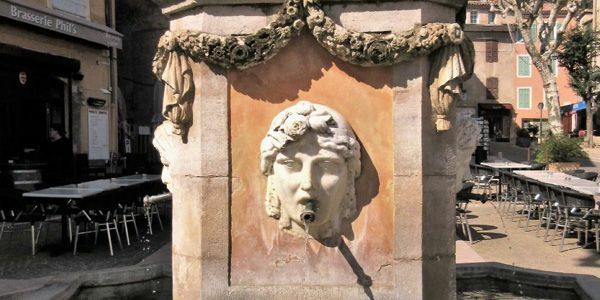 The village has eighteen mostly 17th-century fountains of which a nice specimen stands on the village square. The village square is tucked away under century-old plane trees, which provide coolness and shade during the warm summer months. On this central square every Tuesday the weekly market takes place with the typical Provençal scents and colors. Many products that you can buy on the market are organic. During the summer season, numerous artisan markets, night markets and flea markets are also organized. 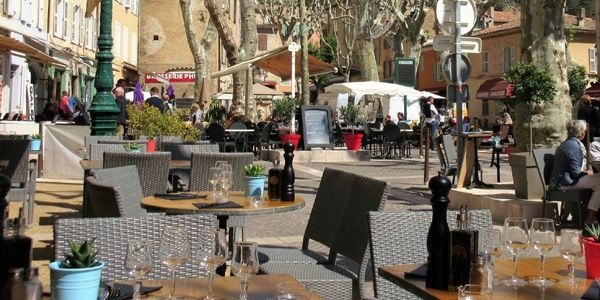 In the culinary field Cotignac has several restaurants and cafes to offer. Most of them have a nice terrace under the plane trees of Cours Gambetta, the village square. If you enjoy good food, it is worthwhile to drive to the village of Fox Amphoux, 13 kilometers away from Cotignac. 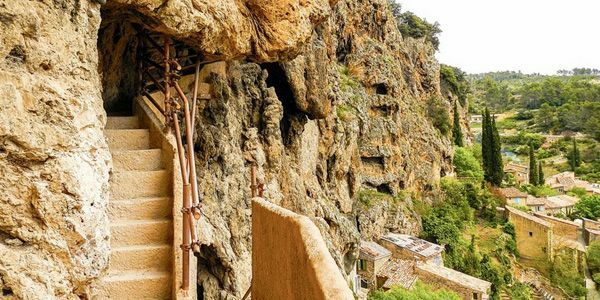 In the middle of this small village a staircase leads you to a beautiful viewpoint over the whole region and just outside the village is restaurant 'la table de Fanette' where you can eat. Are you a wine lover? Even then Cotignac is a must! The village is located along the wine route of Provence. 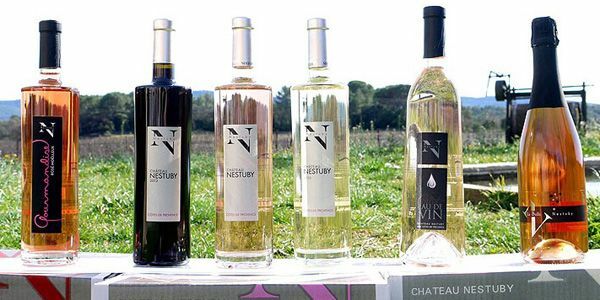 On the various wine domains you can taste the delicious, fruity wines, among others at wine estate Nestuby. Cotignac is also supplier of the purest olive oil and is therefore often praised. The village used to have fourteen olive presses, of which there is only one left. This has been restored and has been functioning since 2003. 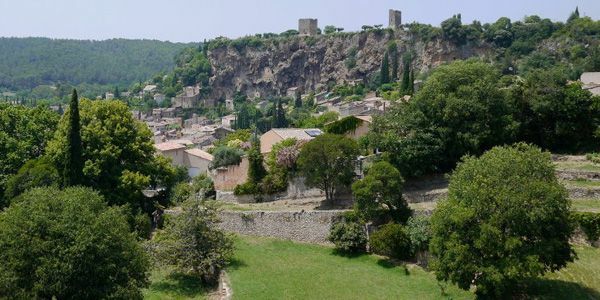 There is much to see, do, taste and experience in the surroundings of the rustic village of Cotignac and the village is therefore an ideal base for a holiday in Provence Verte!